This is just awesome, I love how you divided the page and that great cut file. Super fun photo too. I've not visited your blog before, so I had a good look around. I really like your graphic, open style of layouts, and especially your clever use of cut files. Thanks for sharing so much with readers! This is just SO COOL! I love ev-ery-thing!!! This just ROCKS! Love the layout, the picture is too cute! Sounds like you are having a great summer minus the Scorpion so far. Great layout! Love the title you cut!! Very cute, got a giggle out of this one, love the bold, modern feel of it! love love love these colours. 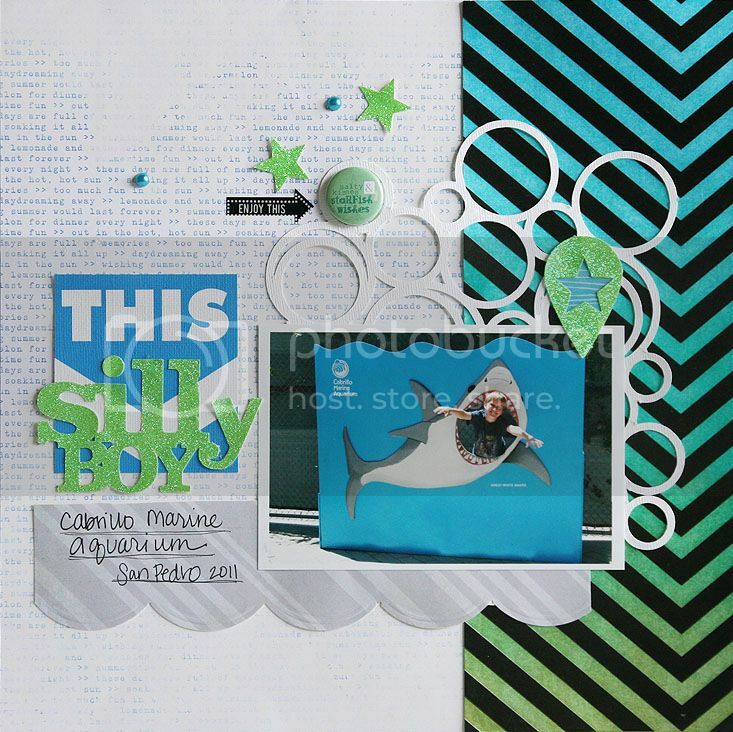 Fabulous layout Mary Ann! I love the cut files you used and how you colored the HS paper!! !